Unfortunately, those pre-orders were quickly dismissed by Huawei itself - the company said that it had nothing to announce, implying that the listings on Amazon (which quickly disappeared) and the September 2nd launch date weren't actually approved by the manufacturer. Now we're getting reports from multiple readers that those pre-orders are being bumped back to the middle of next month. One reader received an updated pre-order email with a delivery estimate for September 18th, a little more than two weeks later. 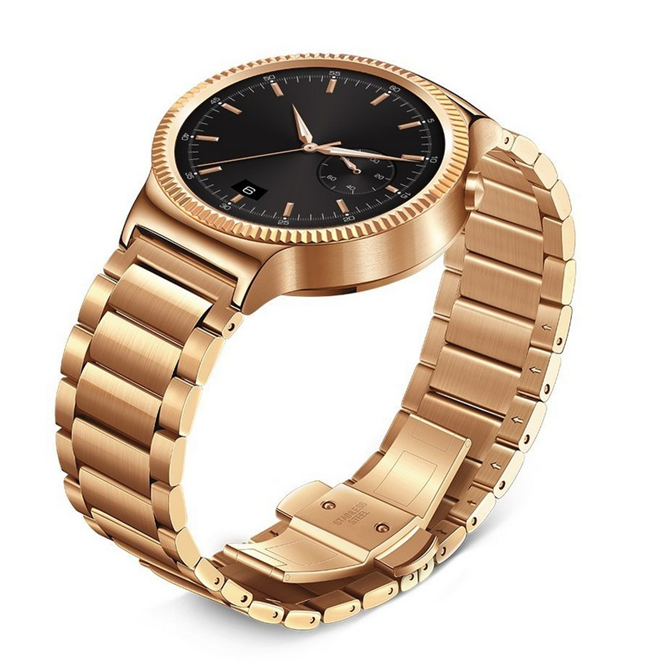 "Huawei Watch Stainless Steel with Stainless Steel Link Band (U.S. Warranty)"
That jives with previous reports that the Watch wouldn't be released until "late Q3 or early Q4" - a mid-September release would be about as late in the third quarter as you can get. 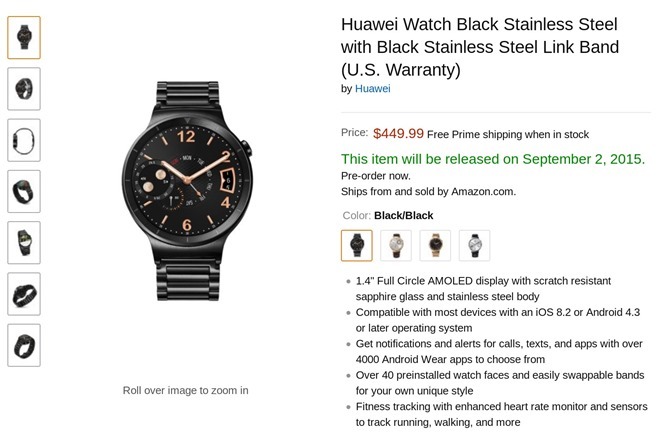 This is just speculation, but it looks as if Huawei had some choice words for Amazon after the retailer jumped the gun, and Amazon is trying to let pre-order customers know as soon as possible that their Android Wear devices might be a little late.